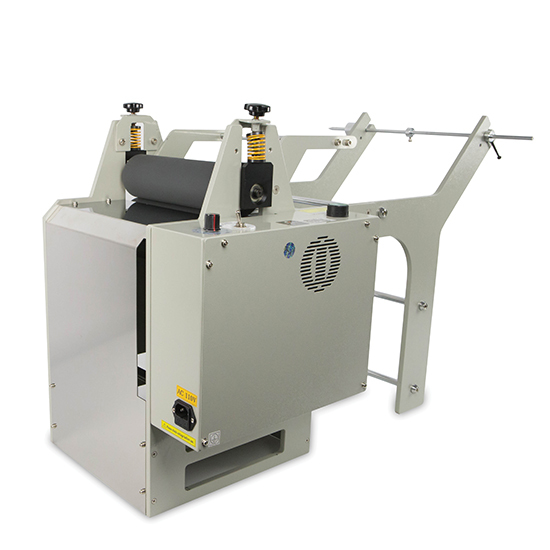 The START International TBTFD250 Material Feeder Accessory for the TBC Series Non-Adhesive Cutters reduces drag and slippage of material as it enters the non-adhesive cutter. This electric, high-speed accessory automatically creates material slack to ensure worry-free use of the TBC Series Non-Adhesive Cutters. Feeds materials up to 9.86" (249mm) wide.